Penguins, known for being one of the few animals who mate for life, are a perfect symbol for your special someone. 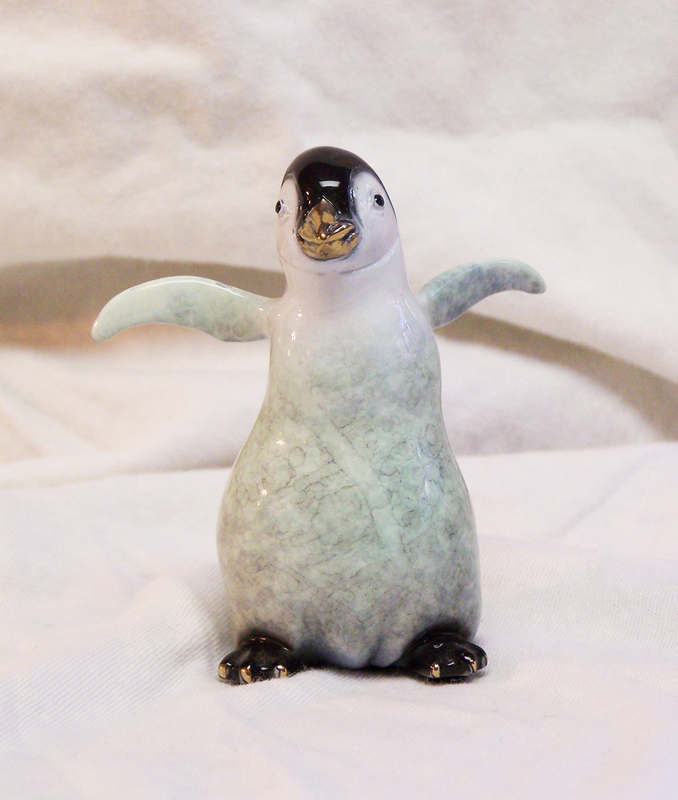 This romantic gift is one of a collection of penguin art by Karl Deen Sanders. Sculpted from clay by hand, cast in bronze and finished with a patina, this token of love and affection will withstand the test of time. For additional information about this penguin collectible and details regarding a complete set of the KDS penguin collection, submit a casual inquiry.